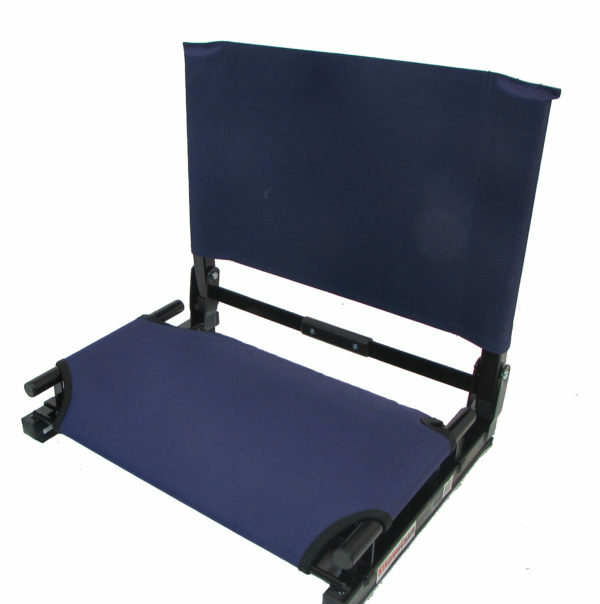 Seat fabric is raised above the bleacher – No more wet bottoms! 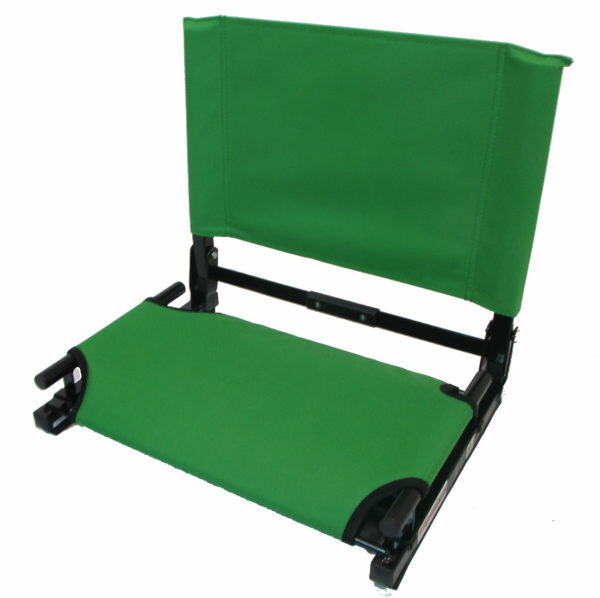 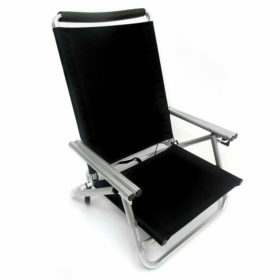 The NEW Stadium Chair Gamechanger Bleacher Seat with Optional Arms. 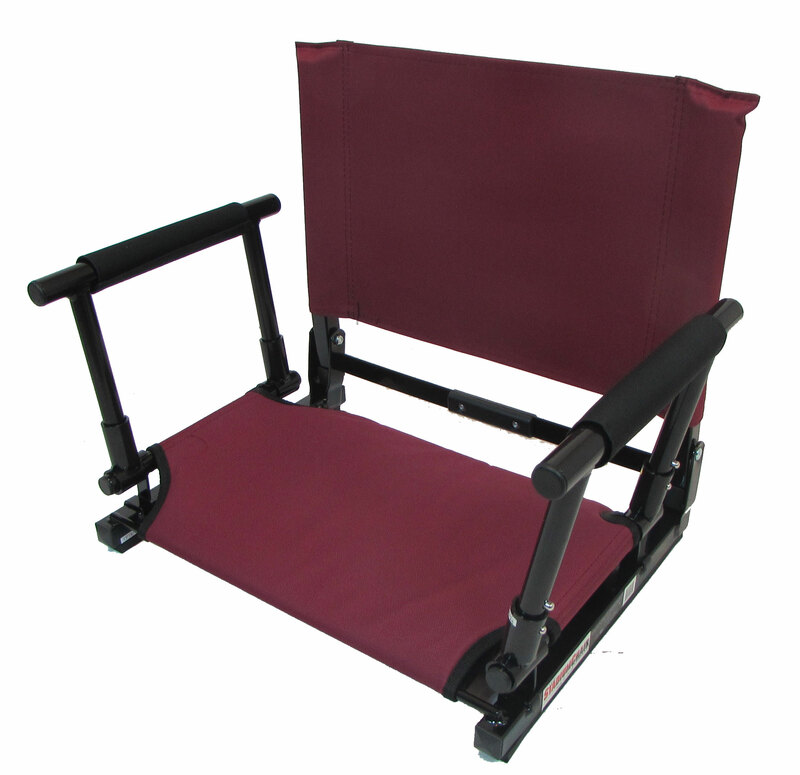 Our best selling stadium seat just got better! Now with the ability to add optional arms, you will never be more comfortable sitting in the bleachers. 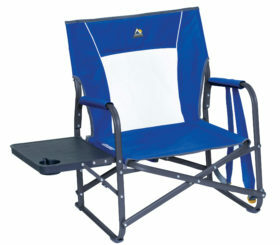 (Arms sold separately). 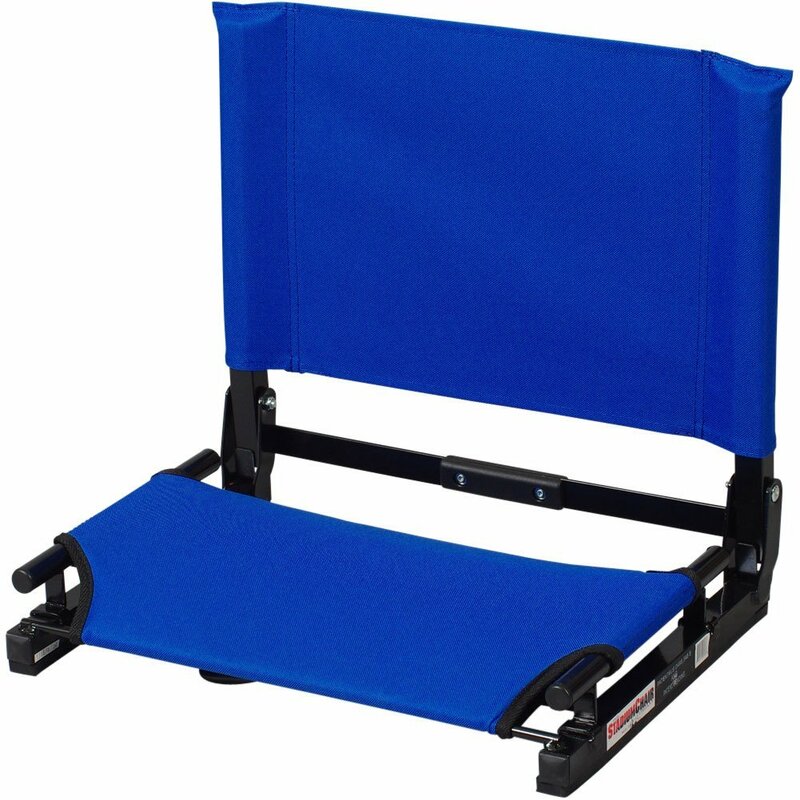 It is designed to fit virtually any type of bleacher, old or new, wood or aluminum. 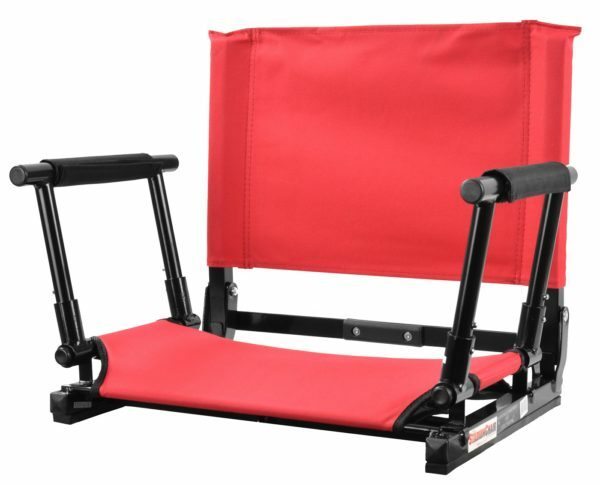 StadiumChair is the most comfortable, versatile, longest-wearing, and best-looking bleacher seat on the market. 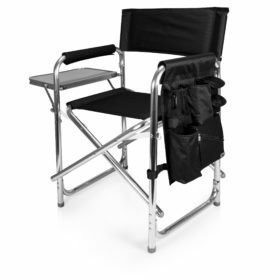 Outstanding construction starts with a powder-coat painted tubular steel frame, covered with a fade and mildew-resistant, easy-cleaning canvas cover. The back cover is double fabric for strength and comfort. 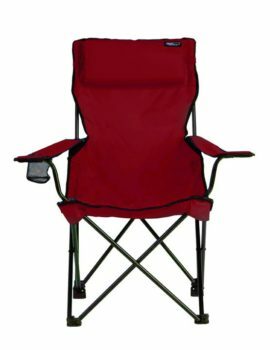 Seat is lashed with bungee cord for comfort. 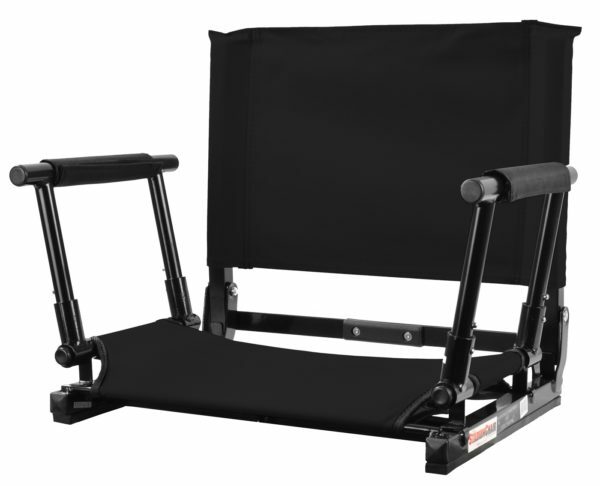 Rubber non-slip skids are mounted on the bottom of the frame to prevent slipping or scratching. The seat folds neatly and travels easily with attached tote handle.